In the arid Great Basin of eastern California lies Death Valley National Park, the largest national park in the lower 48 United States. 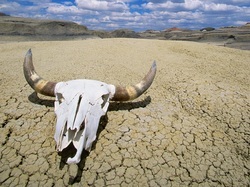 As the name of the park suggests, it is the hottest and driest national park with temperatures reaching “deadly” highs. High temperatures in July, the park’s hottest month, can average 113 degrees Fahrenheit. 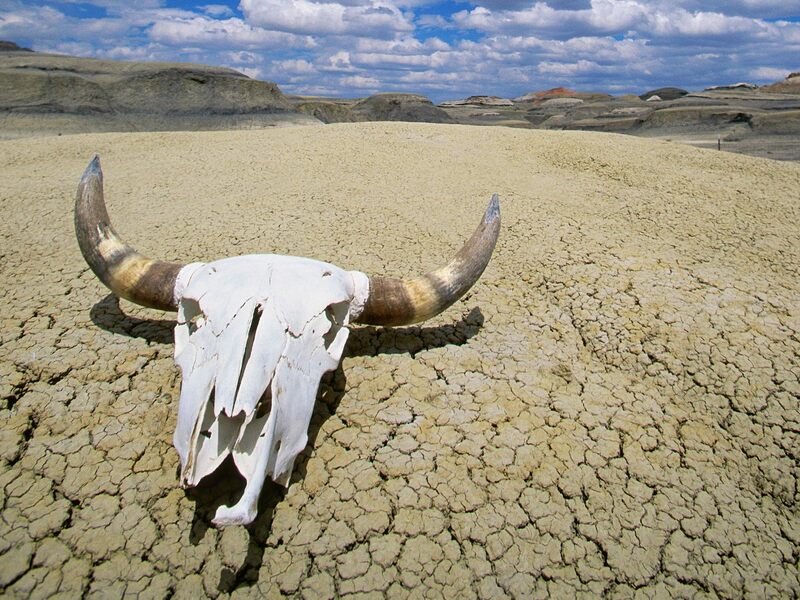 The hottest temperature ever recorded in North America was in Death Valley on July 10, 1913 — a blistering 134 degrees. Yet the desert is surprisingly diverse. The park protects part of the Mojave Desert and many beautiful geological formations in southeastern California and Nevada such as sand dunes, canyons, valleys, mountains and salt flats. With over three million gorgeous acres to explore, visitors must plan their time wisely. Backpacking, hiking, backcountry camping, mountain biking and scenic drives are among the many activities Death Valley has to offer. Death Valley contains very few constructed hiking trails, so it advisable that hikers are fully prepared beforehand. In an area so desolate and with such intense terrain and climate, hikers should dress appropriately and bring water to spare. The best time to hike is from October to April. During the summer months, temperatures can be dangerously high. It is not uncommon for a hiker to be the only person around for miles, especially in the backcountry. Popular hikes include the Golden Canyon Interpretive Trail, an easy one-mile trail through colorful canyons for the novice hiker. For the more advanced hiker looking for adventure, there is Death Valley Buttes. There is no trail to follow, only buttes and ridges to climb and conquer. If at some point visitors crave a break from the heat, there are some indoor activities in the park. Park-goers can visit Scotty’s Castle, an elaborate Spanish-style mansion in Grapevine Canyon built during the 1920s and 30s. The park is open year round, but the most popular time to visit is springtime. If the conditions are perfect, the desert is capable of bursting into a full bloom of wildflowers during spring. It is recommended that visitors make reservations if they plan on visiting this time of year; from the last week of March through the middle of April, the park is full of families and spring-breakers. The only National Park Service campground in the park is the Furnace Creek Campground. The campground is open 196 feet below sea level, and has amenities such as toilets, fireplaces and tables. Reservation for the campground are only taken during the winter season, and the cost is $18 a night. They cost $12 per night during the summer months, and are available on a first-come, first-serve basis. The Furnace Creek Visitor Center & Museum is open every day, and offers 15-minute slideshow programs to introduce visitors to the park. During the winter season, park rangers offer more informational slideshow presentations, guided tours and walks. The park’s diverse habitats and elevation levels cater to a wide variety of animal species ranging from mammals to amphibians. The park’s 51 species of native mammals include the gray fox, which resides on the east side of the Grapevine Mountains, and the desert bighorn sheep, which is found all throughout the park in some of the most inaccessible areas of ridges and canyons. The park is well-known for its desert tortoise which can live to be more than 80 years old. Urbanization, development and the introduction of non-native plant species has contributed to the decline of the tortoise, which was listed as a threatened species in 1989. Raven populations have risen due to the increase in human development in the area. Ravens are a natural predator to the tortoise, therefore increasing their vulnerability. There are currently recovery plans in the works to help reverse the decline of the tortoise population in the area. Many have visited Death Valley throughout its history, but few have stayed long. Native peoples have lived in and roamed throughout the area since the last ice age. Prospectors and pioneers passed through the valley during the California Gold Rush of 1849, though many never made it out alive — their stories lost forever in the shifting sands. The Lost Forty-niners were told of a “shortcut” across the desert that could knock more than 500 miles off of their trip west. Many jumped at the opportunity, but the shortcut proved to be fictitious and often fatal, leading them through the heart of the Mojave Desert, where harsh temperatures and rugged terrain took many lives. It is rumored that one of the men muttered, as he reached the end of the Mojave Desert crossing mountains into the west, “Goodbye, Death Valley,” coining the area’s grim namesake. After years of mining, Death Valley National Park was established in 1994 when President Clinton signed the Desert Protection Act. Before then the area had only been established as a national monument. February 11, 1933 – President Hoover designates the areas in and around Death Valley a National Monument, setting aside almost two million acres of land in southeastern California and Nevada for protection against mining. June 1933 – Mining in Death Valley reopens due to a Congressional act. 1976 – Congress passes the Mining in the Parks Act, which protects Death Valley from new mining claims and forces the National Park Service to investigate current mining situations. 1980 – Mining resumes on a limited basis, with stricter environmental laws. 1984 – Death Valley National Monument is named an International Biosphere Reserve. October 31, 1994 – The Monument is expanded by 1.3 million acres and designated a national park, after the passing of the Desert Protection Act. 2005 – Billie Mine, the last mine in the park, is closed. Click to see a detailed Death Valley National Park map.